A joint report from Amnesty International and Human Rights Watch has damned Australia’s treatment of refugees and asylum seekers on Nauru. The report issued on 3 August has pushed refugees and offshore processing back onto the mainstream political agenda. “What I found on Nauru is what I can only describe as a deliberate, systematic abuse,” said Amnesty researcher Anna Neistat, who spent several days on Nauru interviewing scores of asylum seekers and refugees. 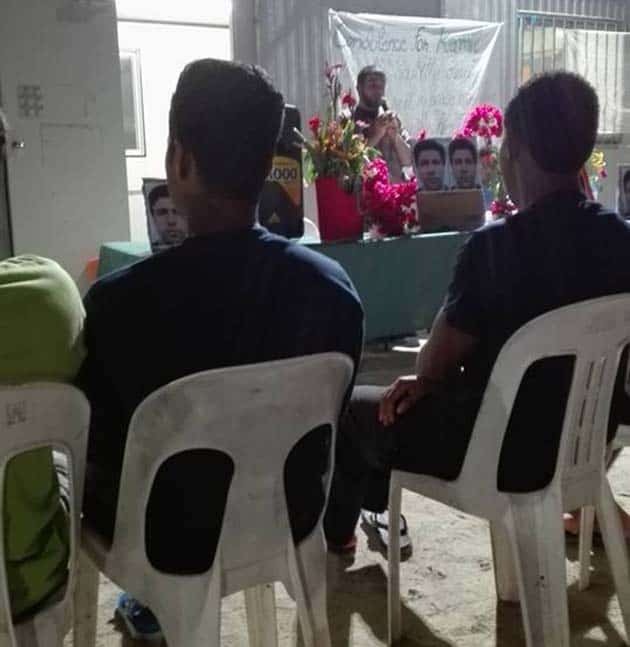 Forty-nine children remain in detention in the family camp RPC3. Before Amnesty slipped into Nauru in July, it had made six official requests to visit since 2012—all rejected or ignored. The report confirms the worst of what is already known about the circumstances of asylum seekers and refugees on Nauru. It documents medical neglect by health workers and other service providers, sexual assaults, and “dire mental health problems and overwhelming despair”. More than 20 of the 58 people interviewed had been attacked by locals. Refugees are preyed upon, attacked and robbed with impunity. The day after publication of the report, one more refugee was flown from Nauru to Australia for medical treatment. Scores of others are still waiting. And the daily protests on Nauru continue. The Amnesty report coincided with the 137th day of protest in the family camp. Meanwhile the situation on Manus Island grows more desperate and bizarre by the day. The detention centre, ruled unlawful by the PNG Supreme Court on 26 April, continues to operate. The PNG government says the detention centre is open and that the “residents” can come and go. Yet the “residents” remain under the control of Australia, and are not free to leave Manus Island. On 28 July one Iranian asylum seeker was arrested at the Manus airport when he tried to fly to Port Moresby. The few refugees who did make it to Port Moresby since April are either living in poverty on the outskirts of the city or, unable to survive at all, have had to return to Manus. As the PNG Supreme Court case drags on, the legal limbo is taking a terrible toll. After three years many refugees are collapsing under the metal strain. In the first week of August, another two were medivacced from Manus to Australia. The Australian government is desperate to obstruct and delay the court. When the Supreme Court called for an Australian representative to attend the court to explain its plans for the refugees, not one Australian representative was within cooee of the court. Even the officials from the Australian High Commission, who normally attend every court hearing, were nowhere to be seen. The court process however is frustratingly opaque. The Supreme Court ruled in April that all the asylum seekers were unlawfully brought to PNG, yet now the court is asking which country is responsible for the asylum seekers and refugees on Manus. Lawyers for the detainees are arguing for their unconditional release from Manus and for their return to Australia. The tragic drowning death of Kamil Hussain, a 33-year-old Pakistani refugee, at a local waterfall has also thrown a pall across Manus. He should never have been there. Kamil should have died a free man. But desperate to avoid its responsibility for the Manus hell, the Australian government would not lift a finger to arrange for Kamil’s body to be returned to Pakistan. Their refusal disgusted and angered refugees and many Manus locals. Their protests stopped the moves to bury Kamil on Manus, with unseemly haste. The Pakistan government may have stepped into the breach to make arrangements for the body; but the Australian government is left bereft of any shred of decency. Australia’s offshore detention regime is crumbling. There are now over 320 people who have been brought from Nauru and Manus Island for medical treatment in Australia. Although one person has been sent to Christmas Island, until now, the government has not tried to send anyone back to Manus or Nauru. But it is going to take more determined action here to end it once and for all. In the aftermath of an election that pushed Turnbull to the brink of defeat, the refugee campaign needs to renew its efforts to break Labor’s support for offshore detention. The demonstrations in Brisbane, Sydney and Melbourne on Saturday 27 August to close the camps and bring them here are an important part of that action.